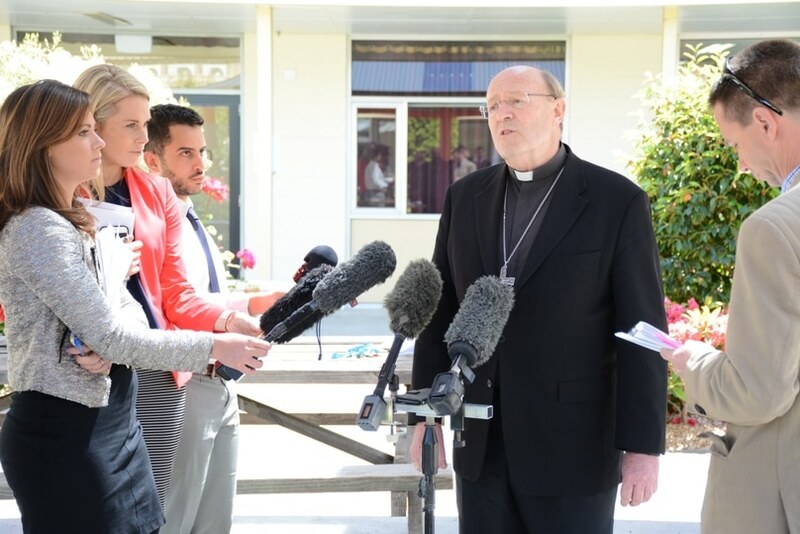 Archbishop Julian Porteous of Hobart says he is disappointed anti-discrimination proceedings against him have been dropped, saying Tasmanians had been “left under a cloud of uncertainty” in the lead up to a plebiscite on gay marriage, later on this year. The Tasmanian Anti-Discrimination Commissioner, Robin Banks, advised Archbishop Porteous on 5 May that she would not be taking the matter forward after transgender activist and federal Greens candidate Martine Delaney withdrew her complaint. “What we don’t know is whether myself or somebody else who makes another public statement in support of traditional marriage could actually have a complaint registered against them,” Archbishop Porteous told The Catholic Weekly. Ms Delaney lodged her complaint in September in relation to the Australian Catholic bishops-authored pamphlet, Don’t Mess With Marriage, which Archbishop Porteous directed to be distributed throughout Catholic schools in Tasmania. Ms Delaney alleged that the phrase “messing with marriage is messing with kids”, insinuated that gay and transgender people were intent on interfering with children, and that it breached Tasmania’s Anti-Discrimination Act, which makes it illegal to humiliate or offend an individual or group on the basis of gender or sexuality. Yesterday she said she had decided to withdraw the complaint because of the drawn-out nature of the process and that the Church had demonstrated an unwillingness to change its wording. Archbishop Porteous said he and Ms Delaney had met on two occasions during the complaints process. “I’ve sought to enter into a dialogue with Martine. I do understand that someone in her position can feel somewhat threatened when the Church teaches very clearly that marriage should be between a man and a woman and that to bring in a new definition of marriage would be a threat to the wellbeing of children, and the raising of children. “Somebody in her position, they interpret that as an attack on themselves whereas it’s not intended as that. Archbishop Porteous said that the Church’s stance was one of love, and that “our fundamental disposition towards anybody (had to be) that of showing love and respect towards them”. “It’s out of love that we speak what we recognise as the truth about aspects of human life. “We want to speak forth about the truth; about the nature of marriage, of human sexuality, the nature of the human person and sexual identity.